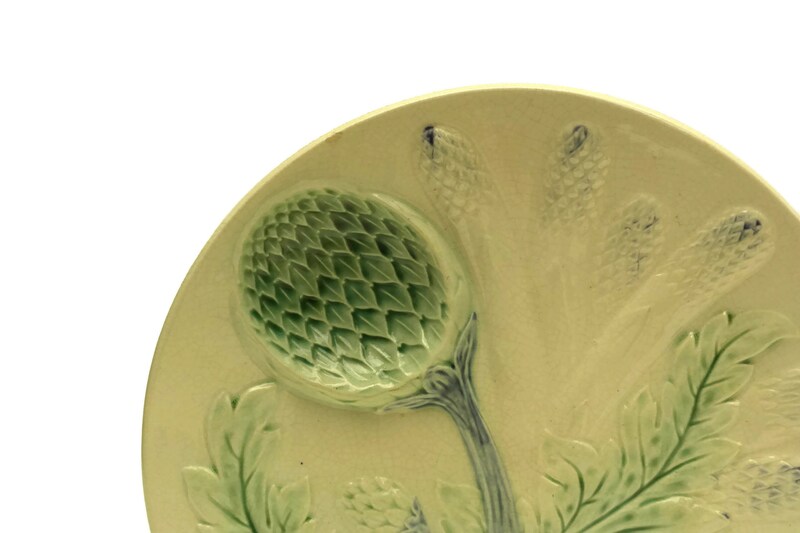 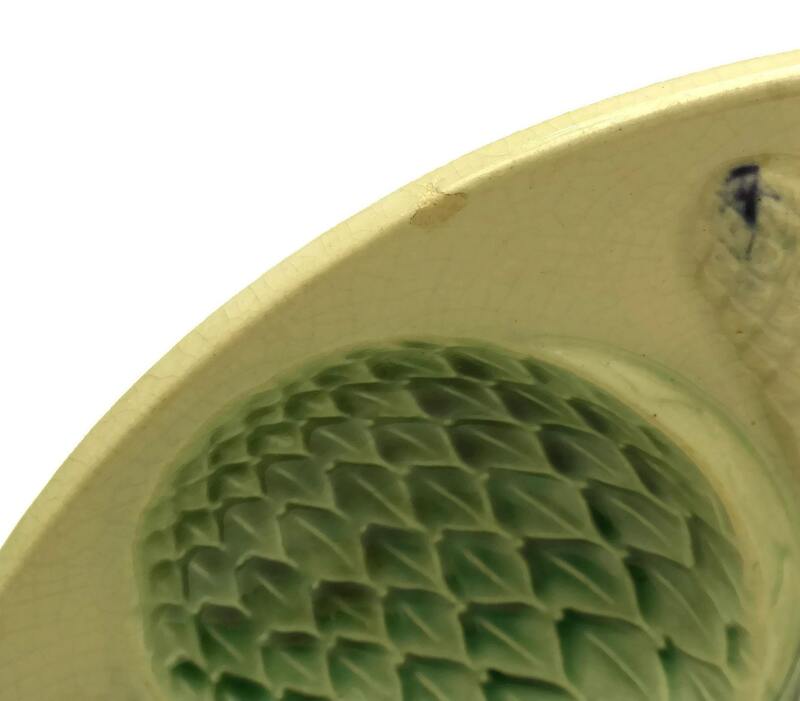 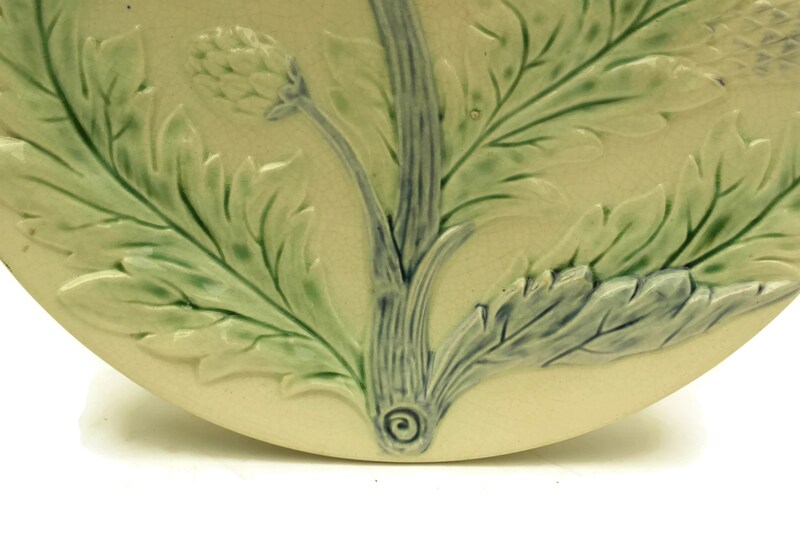 Antique Majolica Artichoke and Asparagus Plate by Luneville. 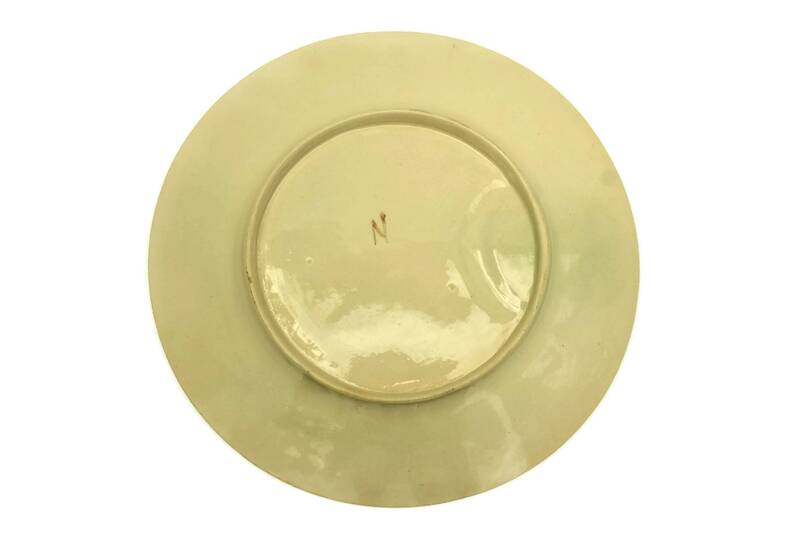 French Ceramic Wall Plate Country Kitchen Decor. 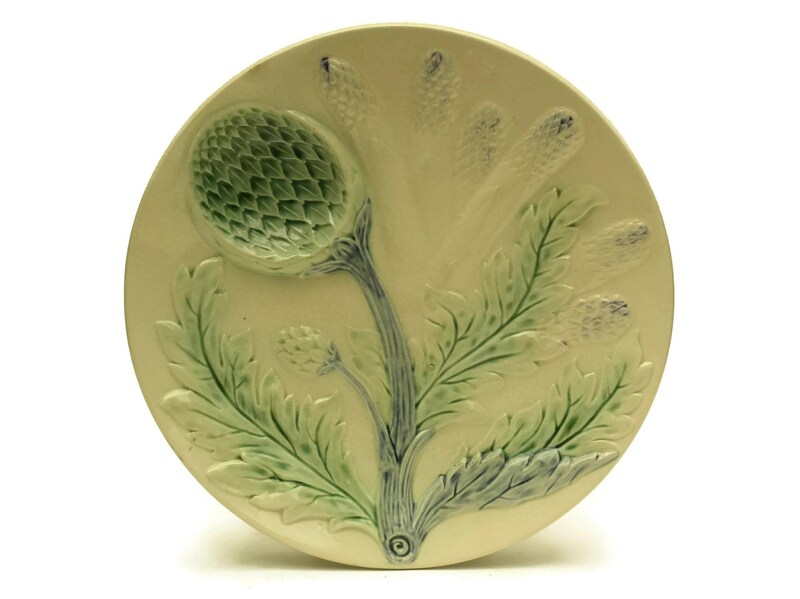 A lovely antique French majolica artichoke and asparagus plate manufactured by the Luneville ceramic company in the early 1900s. 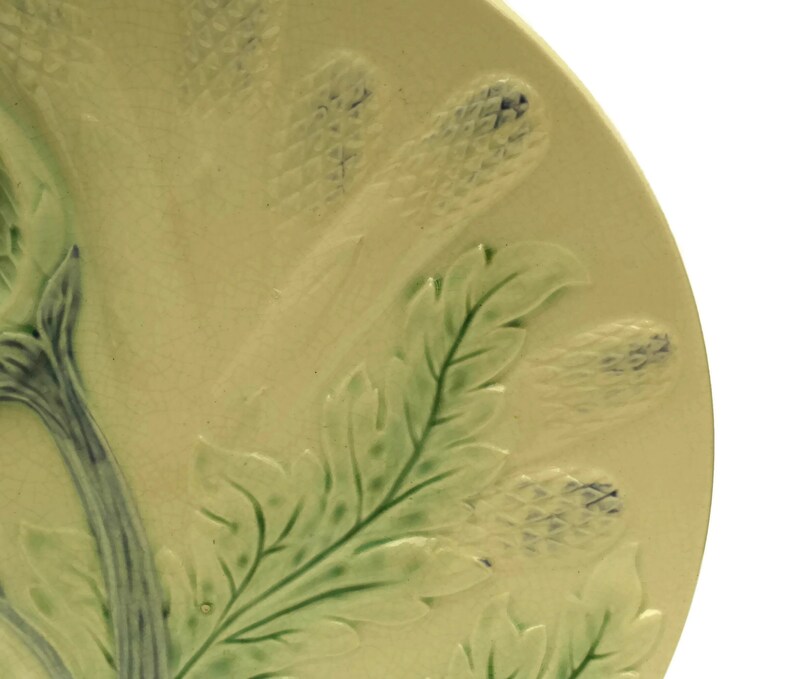 It has been glazed in a soft shade of beige with pale green and blue accents. 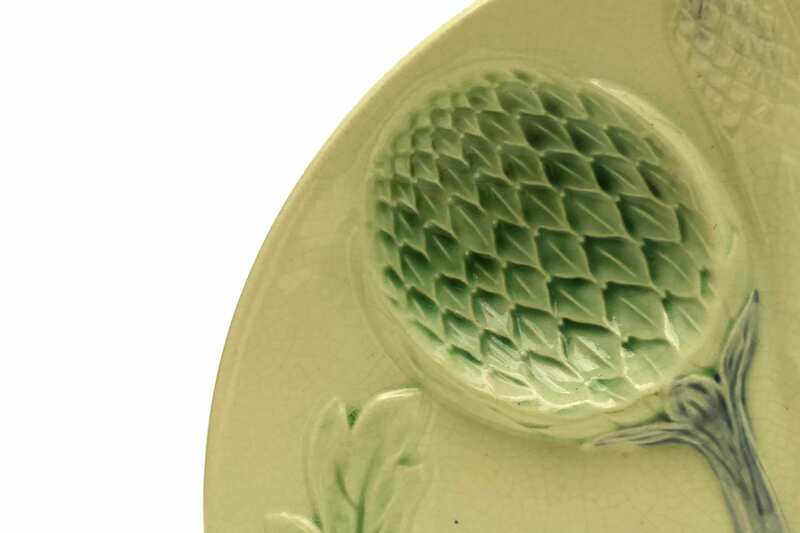 The plate has a large sauce well in the form of a ripe artichoke and has been decorated with asparagus spear and leaf patterns. 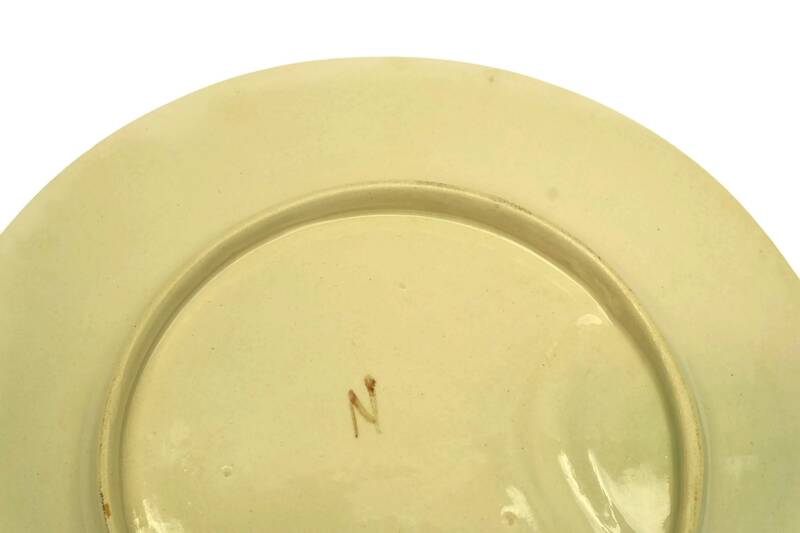 The underside has been insscribed with an "N" monogram. 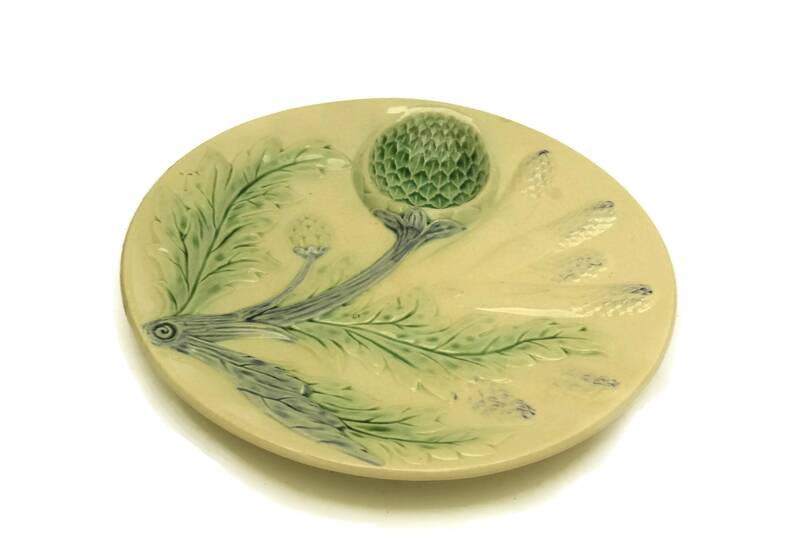 The artichoke and asparagus plate is in good antique condition with some signs of age and wear including fine crazing to the glaze. 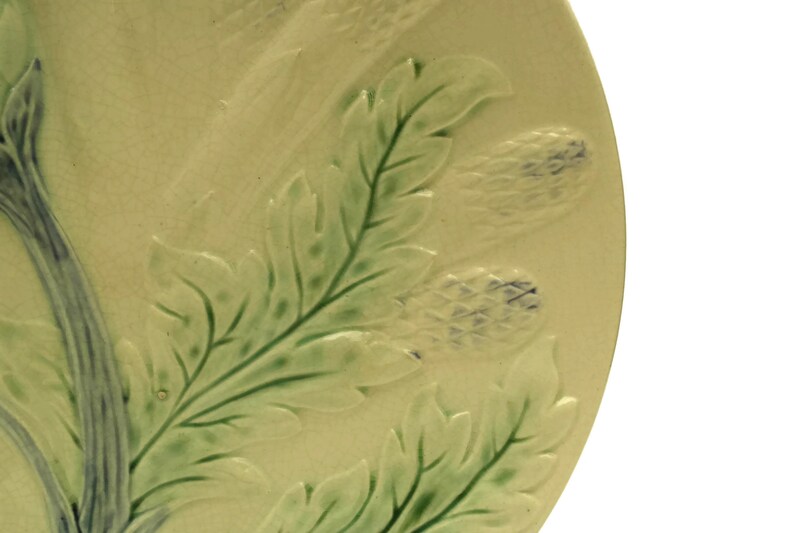 There is a tiny flake to the glaze at the top of the plate.